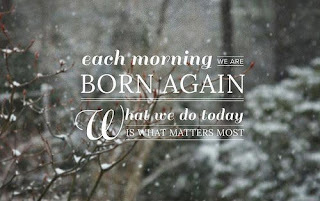 Each morning we are born again, what we do today is what matters most. The Past is past, what’s most important is how you deal with the present. Good morning and do have a nice day ahead..